Have you been boo’ed? 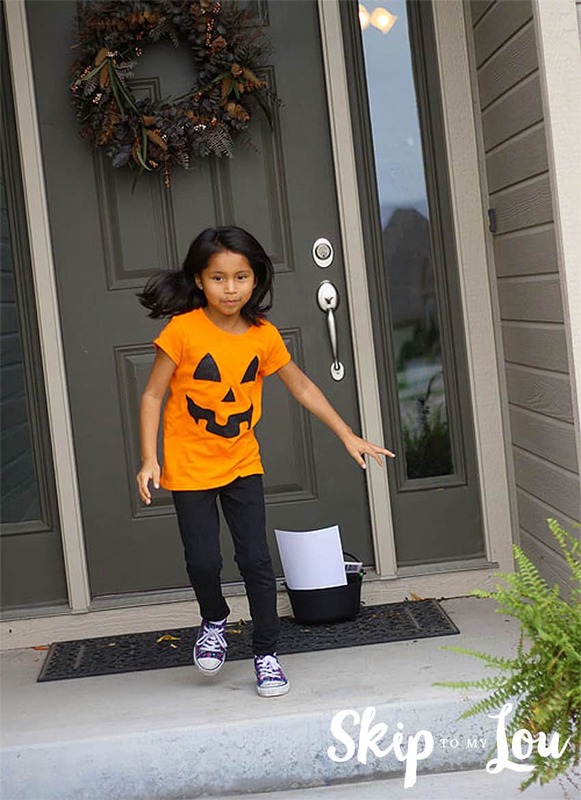 It is time to get the fun going in your neighborhood with these free booing printables. It is a great way to surprise your friends and family with treats. First download and print out the Booing printable. You will need three copies to get the ‘BOO’ started in your neighborhood. 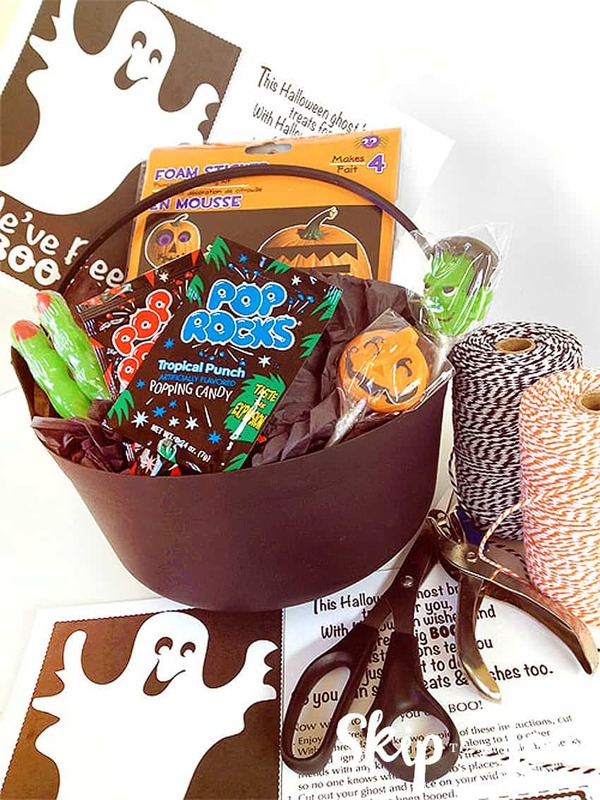 Place one copy in each of your boo containers, use the third copy to make gift tags. I used to place the ghost from the third copy in our window….but then my kids were disappointed that we never got boo’ed. So if we start the “BOO” I don’t hang the sign in our window. Gather some fun treats and place in a container. These special goodies can be small trinkets, a game, a craft and or candy. Something homemade like cookies is also nice and always appreciated! Cut out the gift tags and fasten to the treats. 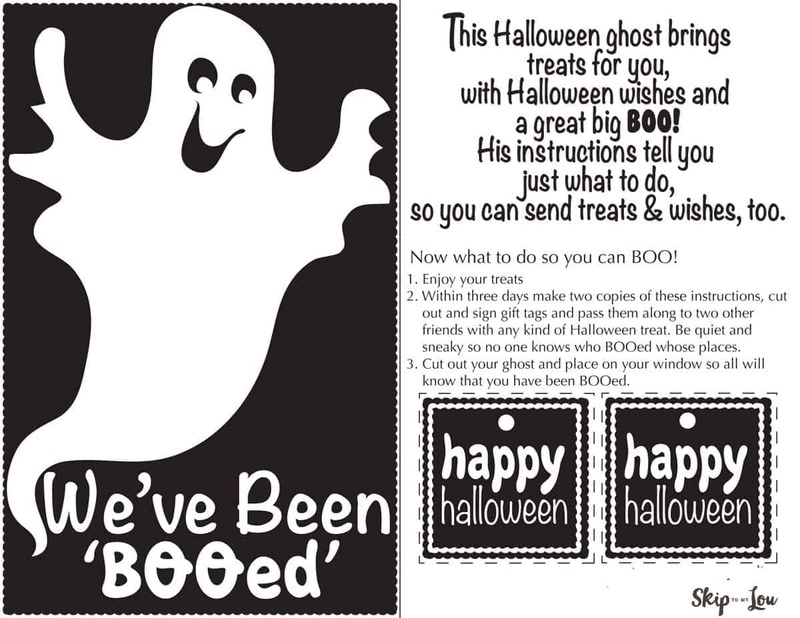 If starting the ‘BOO’ don’t hang the sign in your window, so your family will have the chance to be ‘BOOed’! Now let the fun begin! Usually at night when no one can see, take the treats to your friend’s doorstep. Be sneaky! Ring your friends’s doorbell and RUN quick! It is fun to see signs go up in windows all over your neighborhood. 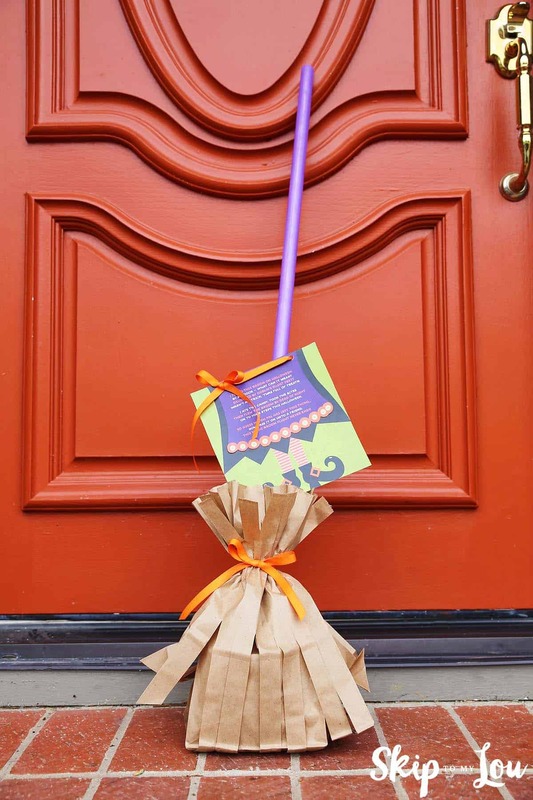 Good Halloween wishes will be overflowing! 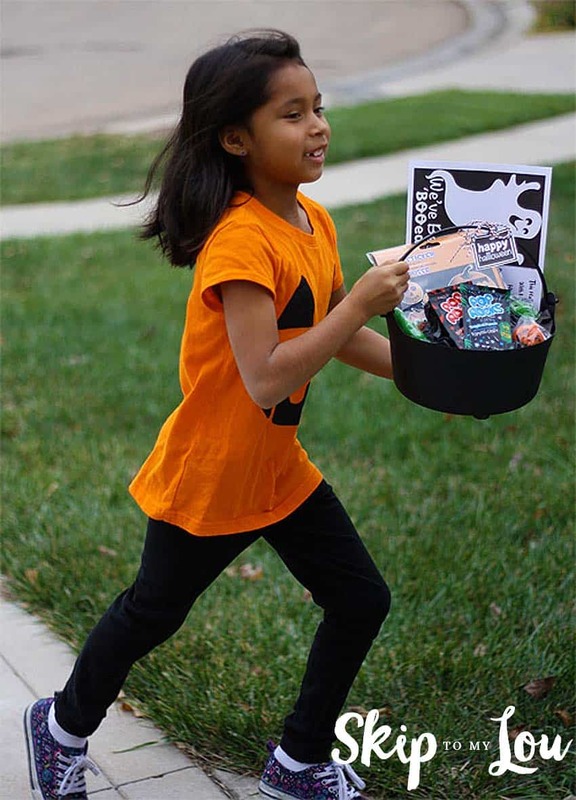 More ideas to spread Halloween cheer! 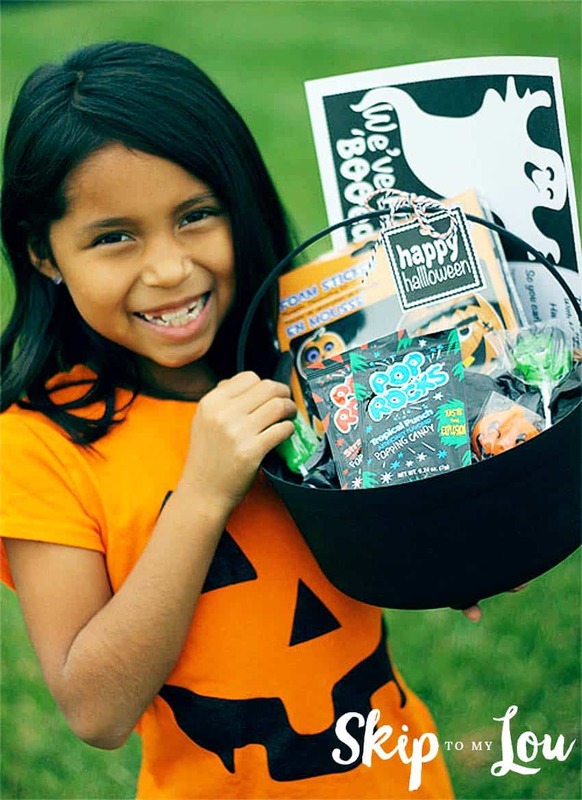 There many ways to spread a little Halloween cheer and make some fun family memories. A magic broom is sure to delight your friends. 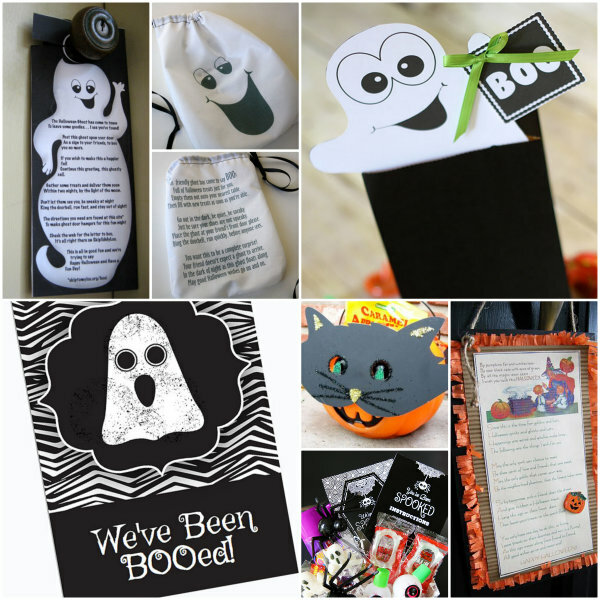 Click on any one of the below pictures for free booing poem printables, we’ve been booed signs and instructions for booing your friends and neighbors!